Your yard is probably the place where you often want to rest and enjoy on a sunny day. 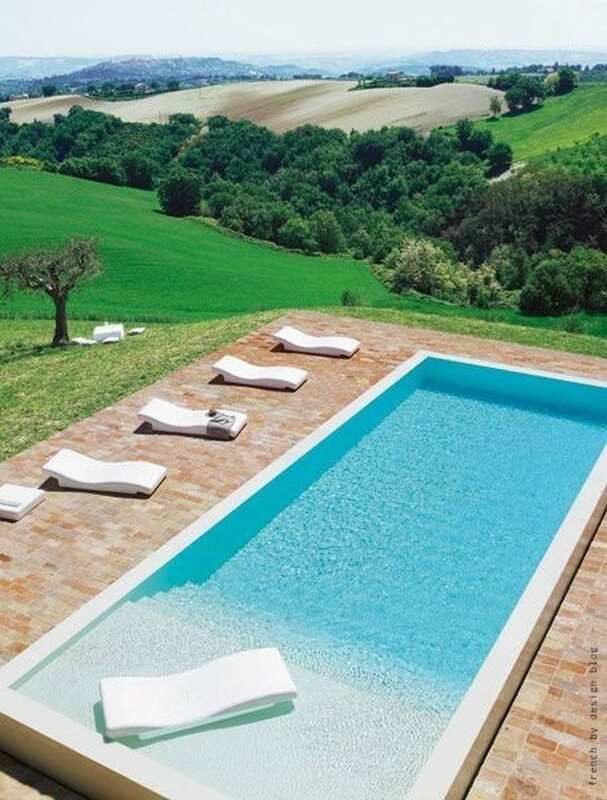 A special enjoyment can provide a pool if it is too hot outside. But the most important part of every yard is the furniture. When choosing the right furniture, you need to decide which material you want, design, and the type that fits perfectly with your style. You will have the opportunity to choose items such as chairs, swings or hammocks. We decided to give you some tips when buying a swing seat. In the next article, you will find things that you need to pay attention to. So, let’s start. The first thing you need to pay attention to is the layout of furniture in your yard or garden. You need to determine how many pieces of furniture you can fit in so you can walk comfortably in the yard. If you are not sure how to use space in the best way, you can always ask for the help of the designer. If you still want to do it yourself, then we can recommend purchasing seat swing that you can use in more ways. In addition to multiple application, seat swing will not take up too much space, so you will not need the help of an expert. In further text, we will focus on the details you need to pay attention when buying a seat swing. After selecting the right piece of furniture, in this case, seat swing, you need to decide which material you want it to be made of. You can choose materials such as metal, plastic or perhaps wood. We advise buying a hardwood swing seat. Although it may require more frequent maintenance, wooden garden furniture also represent a more elegant solution for your place for rest. 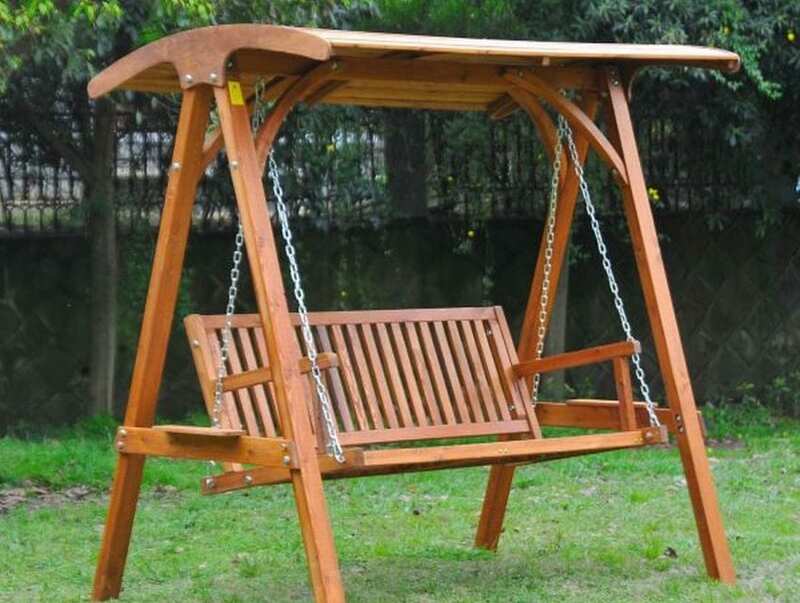 Another advantage of wooden seat swing is its price that is lower than the price of furniture made of metal. Some of the best-quality woods you can buy are certainly acacia, cedar, cypress, redwood, and teak. Ok, you may think that moisture will ruin your new wooden seat swing, but the moisture will also adversely affect those made of metal. 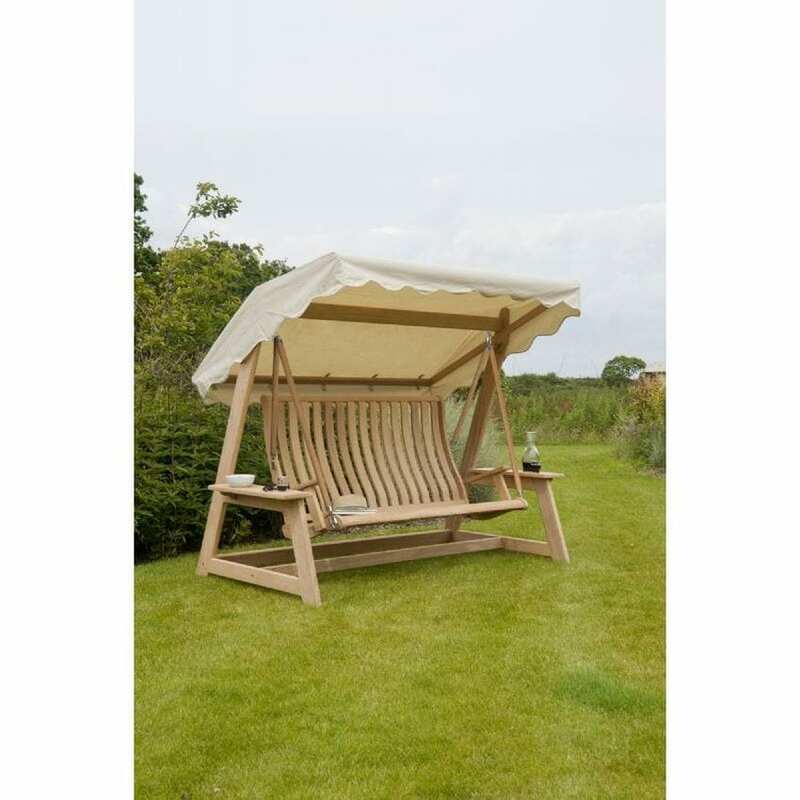 If you keep it in the right way, you will not have any problems, and you will be able to enjoy in your garden furniture for a long time. 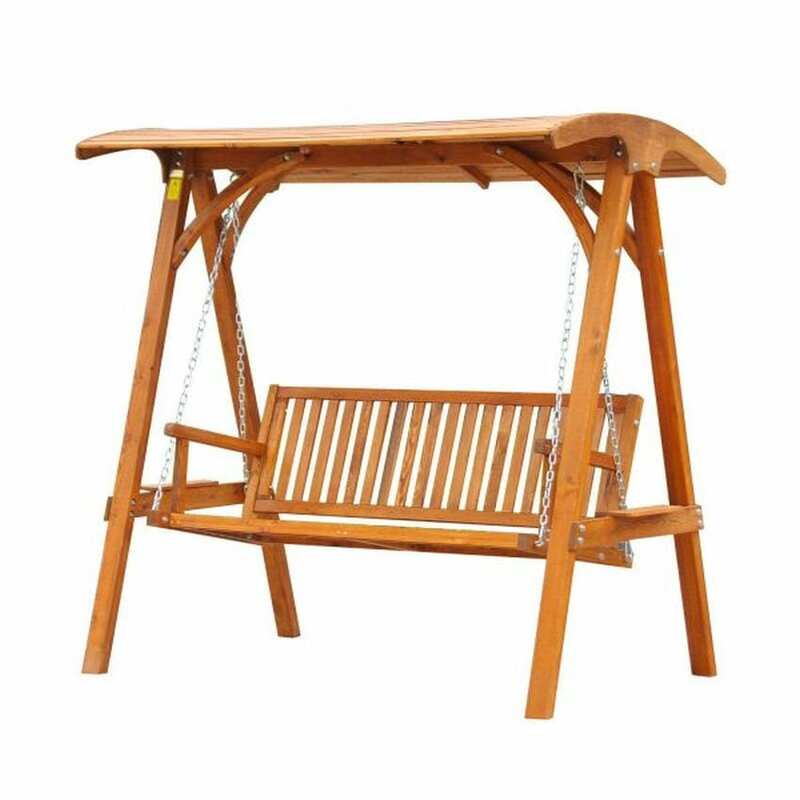 If you have accepted our advice and purchased a hardwood seat swing, then you must know that it requires maintenance. In addition to the usual wood protection, you need to use a oil-based finish that is applied in a multilayer if the furniture is directly exposed to the sun during the season. The oil should be applied two to three times during spring and summer, and also the procedure should be repeated before winter. In this way, you will make your furniture more durable. For applying the oil-based finish, you can use brushes or paint guns. When you choose the right color, the design and the place in the garden where you will place the seat swing, it remains to make it even more comfortable. 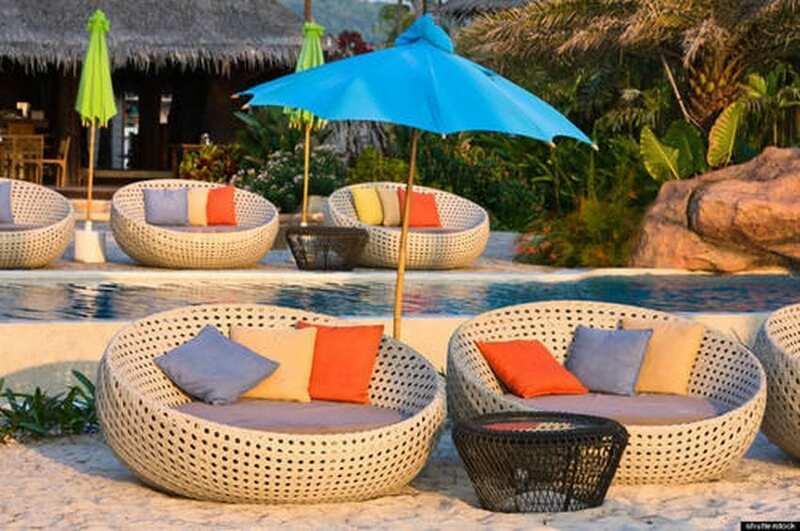 You can buy colorful cushions or pillows, but you have to keep an eye out for choosing those that are weather resistant, so you do not have to change them every season. This way you will get comfort that will last long. Also, freely combine the colors and fit them according to your style, because you will spend most of your time reading a favorite book, listening to music or just enjoying on a sunny day. If you have design problems, you can see how celebrities have done it in their yards such as David and Victoria Beckham, Catherine Zeta-Jones, Emma Willis or Kelly Brook. They used benches, swing chairs, hammocks, and seat swings in their gardens.